Features > What is an LMS? A Learning Management System (LMS) is used to administer, deliver, track and report online courses and instructor led training. Companies and organizations of every size and type are adopting Learning Management Systems for their customers, franchisees, sales channel partners, etc. According to eLearning Industry, in 2016 over 80% of American companies offered online corporate training for professional development with an expected 13% growth rate through 2018. 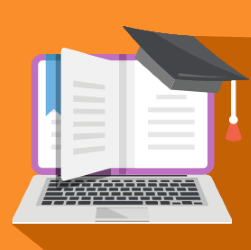 Most academic institutions use some form of learning management. LMSs allow instructors to assign online learning, provide educational resources and manage grades. Most American companies offer some form of on boarding and professional development to their employees. An LMS facilitates delivery, assignment, and training reports while offering significant ROI. As organizations grow, verifying compliance becomes nearly impossible without a management solution. The right LMS enables automated assignment of content and real time or scheduled delivery of status reports. Most franchises can benefit from an effective and comprehensive training program. The right learning management system greatly reduces travel costs while increasing consistency and training analytics. NFPs often face the challenge of training many volunteers with high turnover and limited resources. An affordable LMS can standardize volunteer and staff training and free up staff from repetitive training duties. If the learning management system includes an integrated eCommerce solution, subject matter and eLearning experts can use the LMS to distribute and monetize their eLearning content. An LMS simplifies the process of keeping distributors, resellers, and internal sales teams up to speed on the latest products and promotions. Offering product training to customers reduces support calls and increases customer engagement and satisfaction. Learning Management systems serve as a repository to store and organize training material in the form of online courses, supplemental documentation, knowledge assessments and generally any web ready content. Such a repository allows trainers and training administrators to logically organize, use, and re-purpose these valuable corporate resources. The web based architecture of modern LMSs also facilitates the distribution and, if desired, monetization of training content to a wide and varied audience. A well designed training program can offer an array of training content based on learner profiles including; employment date, renewal cycle, job title, location, division, and more. As an organization or its training program grows, it can become unmanageable to assign Learners individual training when then need it. A well designed LMS can assign learning content by the use of team assignments, learning roles and profile based rules. The automation of training assignments improves consistency and dramatically reduces administrative time. Assigning training is only the first step. Assignments are pointless if the Learner forgets about the training or does not follow through. An LMS can provide reminders encouraging the learners to complete their training in a timely manner. The system can also keep responsible managers up to date by automatically delivering detailed training reports tailored to the needs of Executives, Directors, Managers, and Supervisors. Easy access to training data is important for certification, building a stronger workforce, employee satisfaction or outside auditing. An LMS can permanently store training records for easy retrieval when needed. Exams and gap analysis can help identify opportunities for improvement in both the training content and the learning content effectiveness. The vast majority of LMS users are the Learners who are taking courses. Therefore the Learner interface must be clean and intuitive to understand. There should be no confusion or barriers that impede the learner’s ability and access and complete their courses. An LMS should offer different types of automation to remove the burden of training administration. Look for integration with your existing HR system to avoid entering learners by hand. Automation tools should allow you assign training based on teams, Learning roles and profile rules. Assignment should have start, due and renewal dates. The goal is to automate the delivery and monitoring of training programs so that administrators spend less time running and maintaining their LMS. Live Instructor led training is an important aspect of many training programs. Trainers can design best of breed blended training programs by integrating their ILT with online courses, discussion forums, and other digital resources. An LMS provides a simple way for learners to register and launch their live sessions. Administrators and instructors need tools to manage registration, wait lists, and communication with attendees.Live Instructor led training is an important aspect of many training programs. Trainers can design best of breed blended training programs by integrating their ILT with online courses, discussion forums, and other digital resources. An LMS provides a simple way for learners to register and launch their live sessions. Administrators and instructors need tools to manage registration, wait lists, and communication with attendees. One of the most important aspects of and LMS is comprehensive reports that can be customized and filtered. Not all LMSs provide the same level of functionality. This is one of the features that can frustrate administrators after implementing an LMS if they are unable to pull the data to really evaluate their training. Reporting can also be a time consuming process. A good reporting feature will let you save customized reports and automate their delivery. Buying a low cost LMS can be a challenge. The information in this guide will enable you to identify your training needs and the LMS features required to meet those needs. An Extended Enterprise LMS allows an organization to use a central system to provide unique learning experiences for different groups of learners, both internal and external. The learners could be dealers, channel distribution partners, suppliers, resellers, franchisees, or customers. Each learner will be viewing content curated for their needs from a master training catalog presented in their own course catalog, customize for them. For example, customers might see a branded portal offering courses that differ from what is seen by resellers, employees, or other learner types. Some enterprises will find it useful to create dedicated child portals to better serve their training objectives. A franchise could have a different portal from each franchisee. An extended enterprise could have a portal for each type of Learner. Larger organization could have a portal dedicated to some of their teams. Each portal can be customized with their own look and feel, but all of the content would be served, tracked and reported from a master content repository. Gamification is a process of awarding points or badges to reward learners for completing certain goals. Gamification usually consists of earned badges and leader boards which encourage friendly competition between learners. Gamification’s ultimate purpose is to increase engagement, recognition and compliance with training goals. Online learning can feel like a solitary and isolated experience. Providing a forum or Group Journal for learners to share questions and comments with peers taking the same training extends the learning experience beyond the limits of the course material. Social learning also gives instructors an opportunity to participate in “class” discussions, provide encouragement, and share supplementary materials. Although support is not a feature of an LMS, it will crucial to your success and one of the most important things to consider when evaluating a solution. How attentive is the vendor? Are they easy to reach and cordial to deal with? Do they set time aside to demonstrate all of your critical business needs before the sale and help with deployment after the sale? We started this discussion with a simple question. What is a Learning Management System? We’ve given some examples of who uses an LMS and how they benefit. We’ve also touched on some LMS key features and advanced topics. Clearly, our answer wasn’t as simple as the question and we have only touched on a few of the many possible uses. If you are ready for an LMS and have a few questions, one of our Solution Specialists would be happy to speak with you. If you would like to arrange a free trial of the Accord LMS, please contact our Sales Team.